We hope you enjoyed the Oliver + S measurement chart we posted earlier this week. Well, the holiday fun doesn’t stop there! 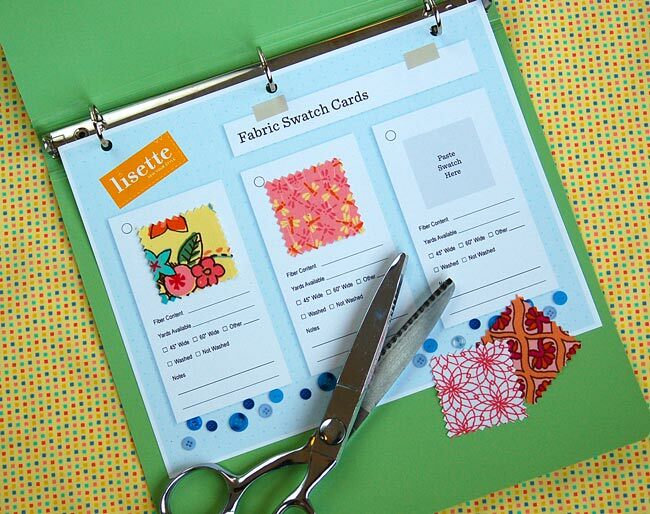 Today on the Lisette blog, we have another useful PDF giveaway: a swatch card set. You can see the details and download the file on the Lisette blog. just stopping by to say hello via sarah jane studios! hoping to win your book! Wow, love the idea, would love to win if I’m not to late. very interesting, long time ago when I first started sewing and then quilting I had a notebook similar to this book. Great idea, could use that just for my quilting and everything would be neat and organized.